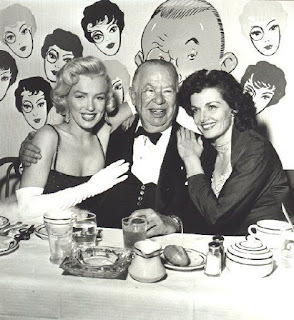 Charles Coburn (1877 – 1961) was one of the most beloved character actors, during Hollywood’s Golden Age, appearing in some of the most beloved films of 1940s and 1950s. Coburn started his career as a “program boy” and worked his way up to manager of a theater in Savannah, Georgia by the age of 17. 1. Coburn was born in Macon, Georgia. 2. He made his Broadway debut in 1901. 3. In 1906 he married Ivah Wills and they had six children; she died in 1937. 4. Primarily a stage actor, Coburn didn’t make a film until he was in his mid-50s. 5. 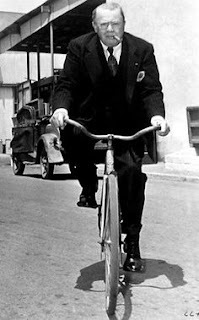 He received two Academy Award nominations for Best Supporting actor in films starring Jean Arthur: The Devil and Miss Jones (1941) and The More The Merrier (1943); he won for the latter. Marilyn Monroe and Jane Russell cozy up to Charles Coburn during the filming of Gentleman Prefer Blondes. 6. Mostly known for his comedy roles, Coburn played dramatic roles in film classics like In Name Only (1939), Kings Row (1942), and The Constant Nymph (1943). 7. Coburn was so well spoken—he and his first wife organized the Coburn Shakespeare Players—that many people thought he was British. 8. Contrary to conventions of the time, Coburn often received star billing alongside his younger costars. 9. Coburn received his third (and last) Academy Award nomination for the enormously popular The Green Years (1946); he was nominated for Best Supporting Actor in spite of receiving top billing. 10. He played Barbara Stanwyck’s father in two films: The Lady Eve (1941) and B.F.’s Daughter (1948).